AZ Sun Solutions is your Phoenix patio screens company. 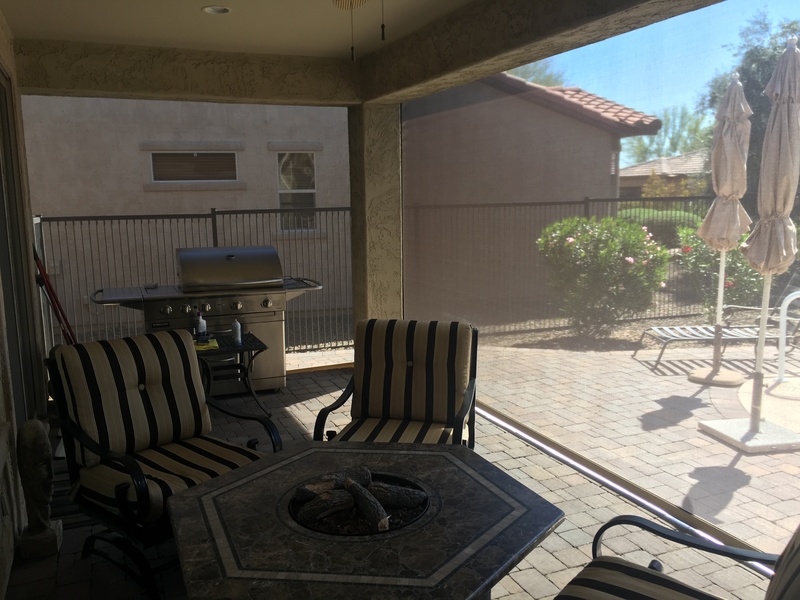 Having served the Phoenix area for the past 10 years, we have built up the reputations of providing the best in custom-designed patio screens to suit your outdoor living needs. 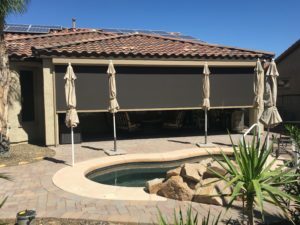 With year-round outdoor living in Arizona, having patio and pool protection from the blazing AZ sun is important for homeowners who spend a lot of time on their patio or by the pool and deck area. Screen enclosures that allow natural light to enter your patio, while protecting from the elements are a great option for decks, porches, pergolas and other patio structures. AZ Sun Solutions is proud to offer the highest quality manual or motorized retractable screen enclosures that appear at the touch of a button and disappear when you don’t need them. They are perfect for creating inviting indoor – outdoor living spaces. 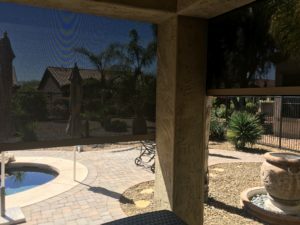 All of our screen enclosures are custom made and professionally installed to provide shade from the sun, keep insects away, protect outdoor furniture, and provide more privacy. Our screen enclosures are made of the highest quality synthetic materials and are available in a variety of colors and densities to match exterior or interior finishes. They are designed to be UV and heat resistant and are treated in such a way that the fabric won’t chip, peel, or succumb to mold or mildew growth. We provide screen enclosures that will truly withstand the test of time. Homeowners may think that custom means expensive. However, at AZ Sun Solutions we offer competitive screen enclosure pricing and installation that will enhance the beauty and value of your home for years to come. At AZ Sun Solutions we are committed to providing our clients with high quality and innovative screen enclosure solutions at competitive prices and superior customer service. Call or email us to learn how we can assist you with your outdoor living space today! Carve out private space on your patio and bring architectural dimension to your landscape with patio screens from AZ Sun Solutions. Our expert installers know how to take care of our customers and have built up a solid reputation of customer satisfaction. With AZ Sun Solution you can achieve peace of mind that your patio screen project will be done properly and exceed your expectations. 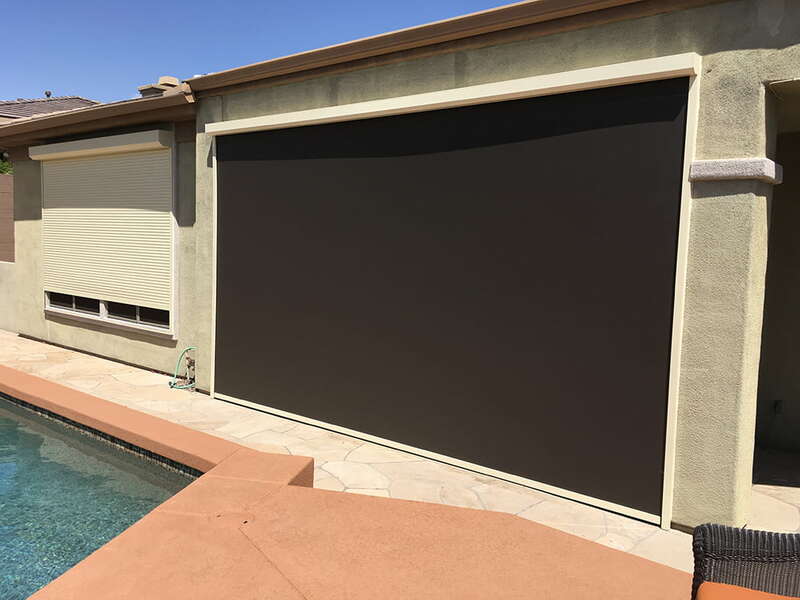 For more information about our patio screens, contact AZ Sun Solutions today. Our specialists are available to answer any questions you have and can tell you about all of the outstanding products we offer. Call us today for a free quote! Keep Arizona critters such as flies, wasps, scorpions, and lizards out. Patio screens protect your family from the environment. Increase the living area of your home. Once installed patio screens require No maintenance. Call us today to speak to one of our patio screen specialists to see how we can find the perfect option to enhance your outdoor living space. 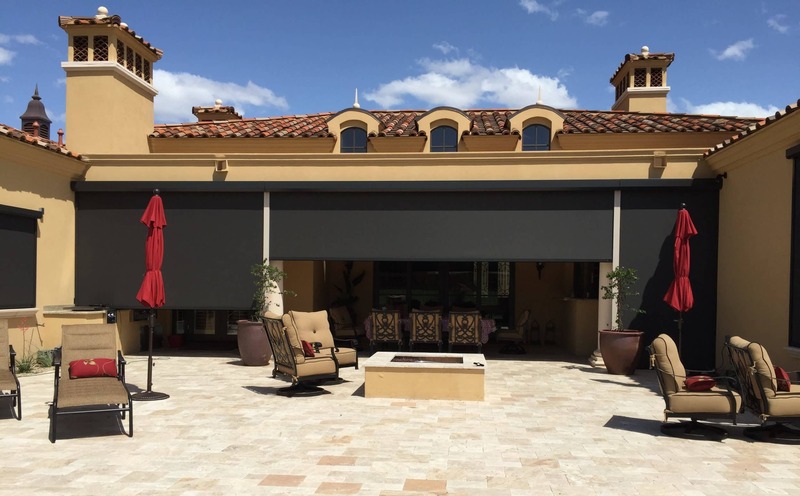 At AZ Sun Solutions, we are a family-owned and operated business that can design, craft, and install any style of retractable awning for your Arizona home or business facility.